Poor Weird Willy Bryant has been forced to face the reality of My Daily Cash Machines' total collapse and has had to start pimping a new scam. Hopefully any of the few remaining Weird Willy believers will have learned their lesson and stay away. So if ya put in $1000 and let it ride for a year, ya get $37,783 back? I DON"T THINK SO! 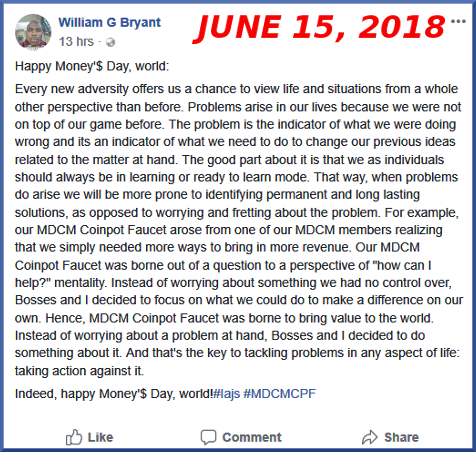 Anyone who has watched the HYIP ponzi fraud scene will have seen some of the creative ways pimps have used to explain away the collapse and subsequent non payment to members. Everything from the owner contracting Dengue fever to the owner having involved in a car accident and being so badly paralysed, he had movement in only two fingers and was unable to authorize withdrawals. Believe me, you ain't seen nuttin' yet. Surely there can't be more than a handful of My Daily Cash Machine victims members remaining. Hopefully readers will by now have realized this thread isn't just about poking fun at Weird Willy William G Bryant and his ridiculous rantings. As much fun and easy as that is, it's also about demonstrating how the claims made by serial ponzi pimps, such as Weird Willy are at odds with the truth. Well, I guess it was always inevitable. My Daily Cash Machines' visitor numbers are now less than when it started. Gee, for a moment there I thought My Daily Cash Machines collapse had slowed. Does Weird Willy Bryant ???? The only similarity between "faking" it and what wierd willy does is that both words start with an "F"!!! I'm guessing even the desperado ponzi players have given up visiting My Daily Cash Machine. Looks like Alexa may have to make some adjustments to accommodate My Daily Cash Machines' falling visitor numbers. Whip, shipdit, ribshaw and 1 others like this. LOL, as long as you keep watching him, his visitor numbers will remain above zero! 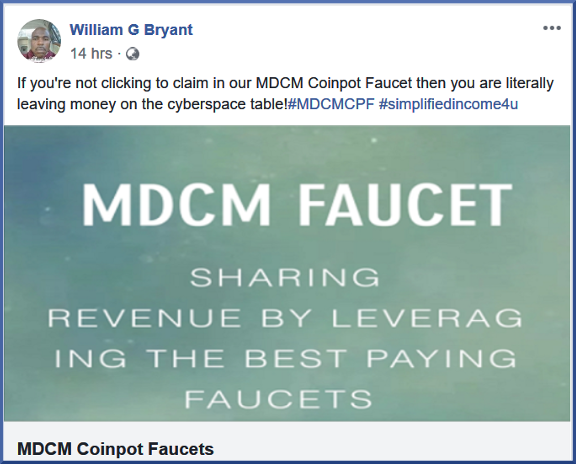 I don't doubt that 90% of the visitors to the website belong to William, the former serf for TM, Bryant doing his best to keep the numbers from falling off the chart. 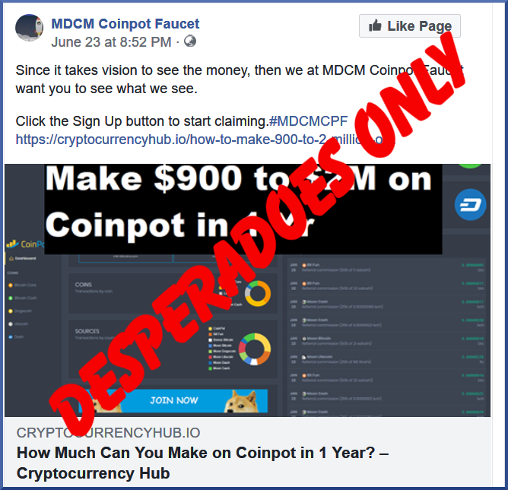 I'm not entirely certain, but, I think we're all part of the "the people who scream scam with no proof" group, but, I'm not fluent in gibberish, so I could be mistaken. I think someone pulled the plug on My Daily Cash Machines' life support. A 24 hour 13,000 drop in My Daily Cash Machines' visitor numbers. It's an almost vertical plunge now. 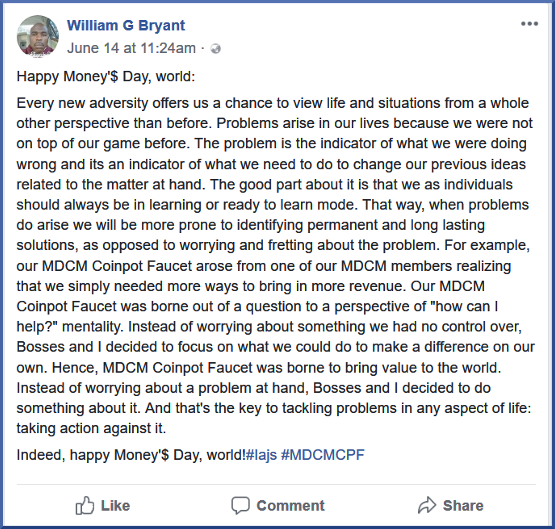 It's not hard to see why Weird Willy Bryant is giving away his app for free. 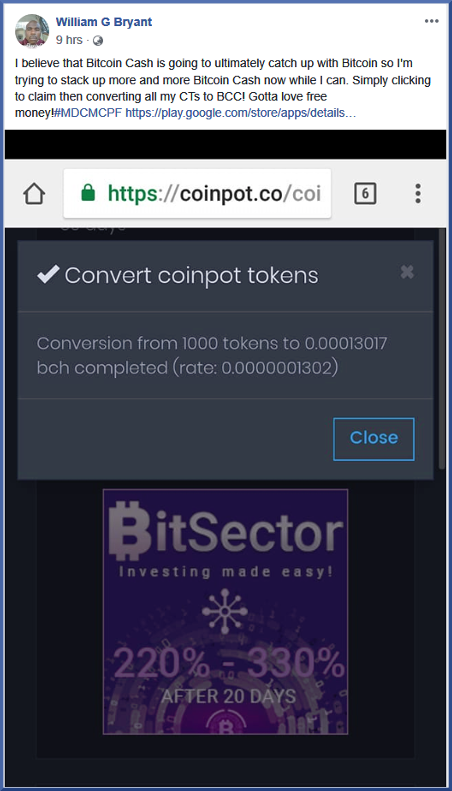 Weird Willy wants you to purchase worthless Coinpot "tokens" whatever the h*** they are and invest in yet another ponzi scheme offering 220 to 300% returns after 20 days. Translation: If I can't dazzle them with my self-professed brilliance, they definitely will be baffled with my BS.